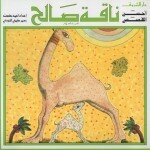 El Warsha Company began working on popular culture and the tale in 1992. Previously, we were doing adaptations of Western texts, because the Egyptian theater being an avatar of Western theater, we formed a group to choose from the Western heritage what interested us and find a theater that looks like us intimately. Thus, the Western theater has become for us a source after being a model. Then we went to discover our own sources and sources from other cultures, and storytelling was central in this approach. The word “story” in French, I believe, does not translate very well what we do. We started with tales of the Delta, published by a man of great talent who collected traditional tales in the vernacular language. Rare book next to many books where these stories are presented in a literary language. What place Sherazade and the tale of the Arabian Nights have ? Scheherazade, who ruled for the women, who was able to save his race, etc., is a feminist theme quite justifiable and honorable. But personally, I think Scheherazade, represents a much deeper thing, more generally, for men, for women, for everyone. Scheherazade is telling and survive, survive by telling, the communication. This communication, I do not speak about the « com’ », is for the Egyptians, the most important value in life. So the tale is a pretext to share, this is the only way to really survive together. Permanently, the Egyptians tell you stories and you discover very quickly that telling stories, it’s … like a trade but where there is no money it’s a kind of thing that makes that you’re in a cloth, since the morning when you leave your house until the evening. You are never alone, even though there are times when you feel like being a little of course, but you’re not helpless, we do not leave you alone in a positive way. Is there a difference in approach between the European and Arab traditions of storytelling ? A response element in the form of anecdote: I was asked a similar question, once during Ramadan, while we were collecting the Hilali Geste, this great Arabic epic El Warsha has created and performed many times late 90. We were in a hotel overlooking the Nile valley with the team trying to decide what would be done, without knowing that we were going to do storytelling. And I get a call from Sweden. 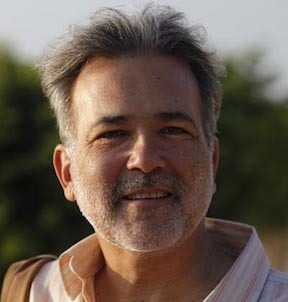 A brilliant and superb journalist, who did a beautiful job on Palestine and Egypt. She said: “As it is Ramadan and I’m doing a program on the seven deadly sins, I want you to tell me about gluttony. “” But, I say, gluttony is not a capital sin here! Certainly, all the Egyptians did not have enough to eat every day, but greed is not a capital sin.” Then she said,” What then constitutes a capital sin in Egypt? “. It was a good question. I asked her if she could give me 24 hours of reflection and I looked in all the other sins. As God is great and that our sins are necessarily small, it is difficult to find a capital sin in Egypt. The only thing I thought and I still think that is the only thing that the Egyptians consider as a capital sin is despair, it is losing confidence in life. We forgive everything except believing in God, but in reality it’s more about life, having confidence in life. It is in this context that this story takes place in the exchange and survival by telling. Storytellers still exist in my country and we don’t need to make them exist by the nostalgia or by playing storytellers. What is the difference between traditional or contemporary story and testimony ? And do the work of collecting testimonials that turned into stories in the last show has to do with the story ? Is it different ? For me, it was not any different from the start because we have not worked in the idea of ​​a bygone world that would live again by nostalgia. Since track work on the tales of the Delta, I did not seem to have changed register, because I believe that telling stories is first telling our story. We have not ceased to tell our stories through all the “lies” imaginable. We have always told stories that belong to us or that belong to others, it is the same process until now. Today we are deepening especially how to tell stories. How? Is there a technique? Ways? What compared to acting? What the art of telling our stories or telling stories is a part of the panoply of the actor? Why is that important? These are the questions I asked myself and it is natural that we went from traditional to daily stories, daily experiences, war, and revolution. Have the traditional songs the same function as tales, a function of culture transmission …? El Warsha worked on all kinds of songs. A significant portion of Egypt songs are epic songs or narrative ballads. They are stories relatively long and sung. Another kind, popular songs, most of those we have made are not narrative songs, but sometimes personal, sometimes traditional. We even sang various songs of extraordinary quality that has disappeared, from the province’s singers not well known … we looked for all these popular sources without distinction … Each time of searching corresponded a universe of tale and song. But we are not specialized in tale or song, we do theater, and in this theatrical research, we collect everything related to this research on everyday life, on the epic of Beni Hilal, on war, on revolutions and gradually a theater project looms. 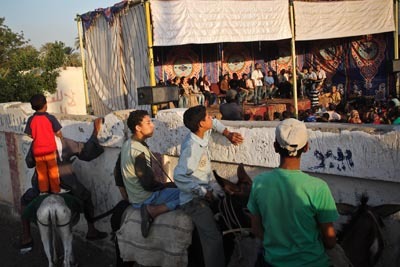 A theater show of El Warsha often includes music, singing. And in parallel, we produce cabaret evenings preceding the show and preparing the following. Share the post "For me, the art of storytelling…"